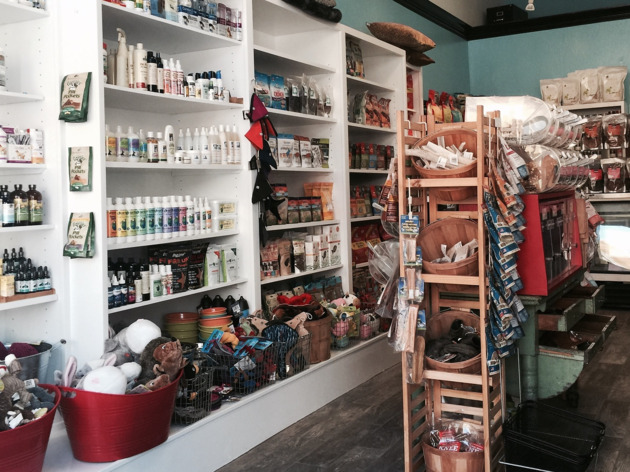 Jeffrey’s Natural Pet Food boasts rainbow décor and seasonal window dressings—inside, the staff is just as enthusiastic as the shop’s façade would suggest. 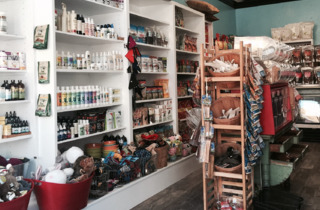 Boasting ten years in business and three locations, Jeffrey’s offers a variety of locally produced, eco-friendly goods for dogs and cats, as well as training classes at it North Beach location. What really sets this SF mini-chain apart, however, is the house brand raw food. After founder Jeffrey Dotson discovered that a raw food diet healed his two cats of two very different medical problems, he felt that he’d discovered his calling. Jeffrey’s treats and food, available for cats and dogs, are fresh, raw and handmade to provide maximum nutrition. If you’re worried about your pet eating cleaner than you do, consider this: Jeffrey’s food is sustainably sourced and produced down to its compostable packaging, which benefits all creatures.